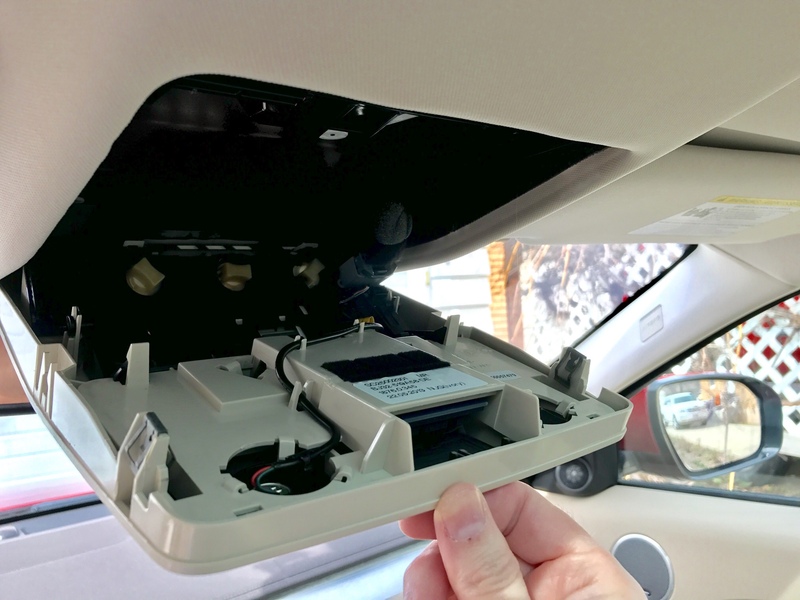 After googling for a while I couldn't find any pictures where anyone had removed the overhead console from the roofliner in their Evoque. I persevered and got mine out today. This topic is really just so anyone searching in future might benefit from the photo I took. You can see where the two spring clips are at the rear edges. This is where you can use a clean screwdriver or panel removal tool to lever the console out if you ever need to. What model year is your Evoque? Mine is a 2014 and it has a thin strip and 3 leds where the lights are. My drivers side map light has stopped working and I want to make sure it's the same. Can you do a picture of the Reverse Side? (12-03-2017 06:40pm)chrisell Wrote: After googling for a while I couldn't find any pictures where anyone had removed the overhead console from the roofliner in their Evoque. I persevered and got mine out today. This topic is really just so anyone searching in future might benefit from the photo I took. You can see where the two spring clips are at the rear edges. This is where you can use a clean screwdriver or panel removal tool to lever the console out if you ever need to. Many thanks for posting this, it's always far easier to remove these things when you know what type of clips are used and where they are loated. Your picture is worth a thousand words.